I’ve always been a little impatient with fantasy worlds whose inhabitants are so feeble they are unable to sort out their own problems until a small number of English schoolchildren arrives to put everything to rights. The Narnia books are a classic example. In a deliberate reflection of Genesis, C.S. Lewis puts humans (‘Sons of Adam’ and ‘Daughters of Eve’) in charge from the very start. There is no question that dryads or talking animals, intelligent though they are, can rule themselves. 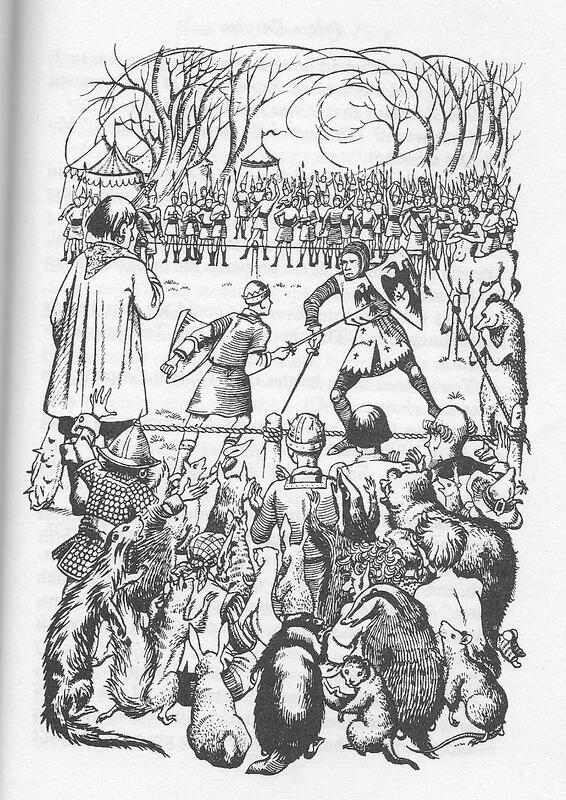 In this delightful illustration to 'Prince Caspian' by Pauline Baynes, to the right, we see the animals and dwarfs, giants and fauns waiting and watching while Peter and Miraz - both human - engage in combat for them. The actual running of the country of Narnia is done by humans. This is a still too common fictional device usually referred to as the ‘White Saviour’: when a native population (of whatever provenance) is saved by the intervention of a hero or heroes foreign to it, but with whom the average white Western reader can readily identify. And I was prompted to think beyond this question by the death back in mid-March of the great Australian children’s writer Patricia Wrightson, and consider a related problem which has been simmering away in the back of my head for several years – the question whether it’s ever appropriate for a writer to ‘use’, as fictional material, the myths and legends of a culture to which he or she does not belong. Since Narnia does not in fact exist, no group of real people is being insulted, but there is still a danger when parallels can be drawn, even subconsciously, between fiction and life. In the recent movie ‘Avatar’, the hero Jake isn’t one of the blue-skinned Na’vi, the native people of Pandora. He’s human, one of us, and we see the new world through his eyes and from his viewpoint. Eventually of course he saves his new friends from his own kind. They are dependent upon his intervention. And we, the audience, don’t identify with the ruthless and selfish corporation RDA, we identify with Jake: and by doing so, exonerate ourselves. Yes, aspects of our own civilisation are exploitative and mercenary – but we aren’t personally tarnished with all that. In such a situation, we would be the good guys. Of course we would! This is why I am uncomfortable with some Holocaust books such as Roberto Innocenti’s admittedly beautiful picture book “Rose Blanche”, and John Boyne’s children’s novel “The Boy in the Striped Pyjamas”. In each instance, the protagonist is a young and innocent Aryan child who shows instinctive generosity and compassion towards Jewish concentration camp prisoners, and ends up ‘sharing’ their fate. Little Rose Blanche takes food to the children on the other side of the wire, and is eventually shot. Bruno, in “The Boy in the Striped Pyjamas”, befriends Shmuel, and finally disappears with him into the gas chambers. Leaving aside the question of plausibility, to me both stories – well-meant as they are – are fantasies in the worst sense: the sort of wish-fulfilment in which one daydreams of behaving improbably and heroically well in terrible circumstances. Bruno and Rose Blanche are not White Saviours so much as little white martyrs, avatars for ourselves. Isn’t there something distasteful about the way they are thrust to centre stage? Isn’t it a way of letting ourselves off the hook? Don’t they effectively allow us to pretend that, in the same circumstances, we too would be brave and true and self-sacrificing to the death? And maybe we would. But much more likely, we wouldn’t. Why couldn’t these books have had Jewish children as the main characters? Or gypsy children, or handicapped children, or any group which was in fact targeted by the Nazis? It’s not that I object in principle to Aryan German protagonists. Leslie Wilson has written two brilliant YA novels from the ordinary German child’s point of view during the Third Reich. ("Last Train from Kummerdorf" and "Saving Rafael".) Her books are the more valuable because they deal realistically with the kinds of danger that did threaten such children – including protecting and losing Jewish friends – but without the emotionally dishonest switch-around that focuses the tragic spotlight on the Aryan child. Is it possible, though, that a non-Jewish writer who wants to write a Holocaust book, feels awkward about creating a Jewish character? Does it seem like taking a liberty? Or is it laziness, an unwillingness to undertake the research, obtain the moral permission? Is moral permission even necessary? Aren’t we novelists, isn’t it our job to be able to create and imagine other lives from the inside out, to think ourselves into other people’s shoes? Isn’t this business of creating imaginative fiction a worthwhile effort at empathy? Don’t men write about women, and women about men? I’ll leave those questions unanswered for the moment, and just say that I don’t believe any subjects should be out of bounds for any writer. If you feel the creative urge to write about the Holocaust, you should be able to do so. The way in which you do so, however, is important. For me, this issue became of personal importance when I began to write the third and last in my series of ‘Troll’ books – fantasies set in a Viking-Scandinavia-that-never-was, in which the human characters co-exist with creatures out of Norse folklore such as trolls, nisses and ghosts. In a way, I was writing ‘history with the beliefs put back in’: people in the 10th century did believe in the existence of trolls, just as much as in physical dangers like bears and wolves and raiders. While I’d tried from the beginning to be reasonably true to the Norse way of life, it’s fair to say the books became more historically accurate as I went on. In the third book, ‘Troll Blood’, I wanted my hero and heroine to sail across to Vinland in a Viking ship – as the Norse actually did – and there they would inevitably encounter Native American people, just as the Greenlanders’ Saga describes. It seemed to me legitimate to introduce Native American characters into the book: it was either that, or pretend North America was unpopulated, a clear impossibility. What may not have been so legitimate – yet what seemed to me important – was that I wanted also to introduce, as players on the North American scene, creatures in some way parallel to the trolls my Norse characters cohabited with. 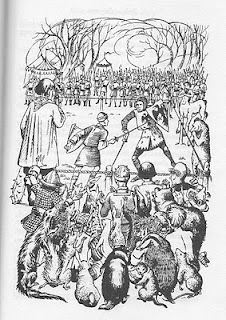 A belief in trolls is part of one people’s way of describing the world and its perils, which helps define them and their differences from another group, for example one which believes in satyrs and nymphs. (Trolls are rougher-edged, with snow on their boots.) If you understand a folklore, you will have a better understanding of the men and women who made it. I wanted to use stories from Native American folklore because without some such dimension, without some reference to the belief systems of the people I was writing about, I didn’t think they would be ‘real’. I spent at least six months – it was probably more – doing the research, going through ancient copies of the Journal of American Folklore in the Bodleian, tracking down primary sources wherever I could, especially verbatim stories from named individuals. Even so, compromise was the name of the game. Nobody today knows or can know what stories, what beliefs, were current among the Native American people the Vikings encountered in the early 11th century. The first preserved accounts were written down by Frenchmen visiting or living in the New World in the 17th century: some of the best (and the first stories collected, as opposed to mere ethnographic accounts) were preserved by a Recollet priest living in the Mirimachi/Restigouche area of New Brunswick, named Chrestien LeClercq. Later on Silas Rand, a Baptist minister, collected many stories. Many had their axes to grind; all were subject to accidental misunderstandings. One thing I decided early on was that every story, custom, belief or – in our terms – ‘supernatural’ creature would be referenced. And in the US edition, this was done. Anyone who cares may look in the index and find out just where I found my information about the jenu, for example, the wiklatmuj’ik, or the belief that you should not tell stories in summertime. Sometimes you have to listen to the emotion. I accepted her correction - though it's good to be able to point out my doubts here. Was it the right decision? Not everyone has the privilege of visiting a major library like the Bodleian. For many ordinary Mi'kmaq and other indigenous peoples whose word-of-mouth culture has been almost erased, the only way of discovering their own heritage may be via a modern European filter such as my own writing. This is why referencing sources is important. At least, then, if it's important to someone, they can go back to the primary sources and make these decisions for themselves. This did not stop one reviewer writing approvingly about the way I had contrasted the warlike Vikings with the ‘peace-loving’ Native Americans. Sometimes, readers’ own assumptions get in the way. The Australia Council for the Arts may have got it about right, for the moment. Ask permission where you can, get the work vetted by someone who knows what the subject is all about and can warn of the pitfalls and clichés and traps: write with care and respect. And whatever you do, avoid the old cliché of the White Saviour, rushing in where angels fear to tread. I remember opening up a book and reading an author's note by Garth Nix, within it he talked about how he also wanted to use elements from an Aboriginal people's culture for a short story and how it was explained to him that he couldn't alter/mix elements from it because of its cultural significance and how he understood felt humbled by their explanation. I remember learning how stories within aboriginal kinship groups are viewed as sacred/rite of passage material that I can see how they would want it to be respected. Though, I also agree there shouldn't be bounds to creativity and completely agree with writing with care and respect. A terrifically well-balanced post, Kath; thank you for this. I'm not sure I entirely agree with you, though, about "fantasies in the worst sense: the sort of wish-fulfilment in which one daydreams of behaving improbably and heroically well in terrible circumstances." I think these stories and daydreams have a vital cultural purpose for us - and perhaps particularly so in children's literature. Surely it's important for stories to show us how we should be as well as how we are? Yes, we probably won't achieve those levels of heroism - but does that mean we shouldn't be told it's possible? And it is possible - people do occasionally behave heroically, regardless of their own safety. I think that's true, John - it's important to show children instances of heroism, but I still feel queasy when the spotlight falls on the wrong person, if you know what I mean. In the Diary of Anne Frank, we see Anne's heroism and suffering, and connect with her on a human level: we see a young Jewish girl behaving with courage in terrible circumstances, and her humaity is ours. But in the books I mention, it's the non-Jewish hero and heroine who somehow suffer FOR the Jewish people in a way which makes me feel very uneasy. It seemed to me legitimate to introduce Native American characters into the book: it was either that, or pretend North America was unpopulated, a clear impossibility. Actually, though it might seem an obvious impossibility to you and me, this tactic was actually attempted by Patricia Wrede in The Thirteenth Child, where she decided that it would easier to pretend that Native Americans had never existed rather than have to deal with the problem of writing about them fictionally. Needless to say, this proved... controversial, as you can see for yourself by googling "mammothfail". What an incredible post! I have to say that I fully agree. I think that anyone should be able to write about any culture... as long as they get their facts right. Do the research, find sources, name sources so that people can check up on it. I think bad or wrong information is worse than no information. Good grief, Charlie - I have just taken a brief glance at the controversy, and am thankful the idea never crossed my mind. Amy, thanks for your comment! My "site meter" has a hit from your site, so I clicked on over to read your post. I don't know your work, but am intrigued by your thoughtful approach to the Native content. I'll see if our local library has your TROLL BLOOD. Debbie, thank you for your visit and the link. If your library cannot supply the book, I'd be happy to get my publisher to send a copy. I very much enjoyed reading your thoughtful post. Thanks! Very good post Kath. I have to feel very comfortable before tackling characters from another culture and I think it is very important for the author to consider the role those characters are being given. My novel, HIDDEN, features an Iraqi teenager as a second main character and one of my aims, apart from showing the plight of asylum seekers, esepcially unaccompanied children, was to show ordinary everyday life in Iraq so that the reader would look beyond violence and victims and the stereotype view of this society. Boyne's book utterly fails as the whole concept was totally impossible. Visit the Wiener Libray in London and view the thousands of materials collected in the 1930s in Berlin which were used in German schools to brainwash the kids into hating Jews. The naivety of Boyne's character is utterly unconvincing. Boyne's book fails for me for exactly the reasons set out so well in your post. It's as if millions of Jewish and other victims are somehow not enough...to imagine the true horror of the Holocaust the reader must identify with a German child. There's a dangerous suggestion lurking there that the real victims are not quite as innocent as the sacrificial Aryan victim. My concern about becoming too cautious about appropriation, is that it may tend to label writers, especially those of us from minority groups, as 'ethnic' writers, somehow barred from writing about other cultures. There is always an element of appropriation in any writing - even autobiography or memoir appropriates the stories of others. As long as we try and remain sensitive and do our research, I don't think we should seek to limit our imaginations. "There is always an element of appropriation in any writing - even autobiography or memoir appropriates the stories of others." Posts like this are the reason why I love your blog so much. This is such a delicate subject, and you handled it so sensitively. I wouldn't want to tell an author never to write about a culture other than their own, though I definitely can see why this is up for debate, and yes, it requires very careful handling. But if nobody ever went there, I worry that we'd seen even less diversity in literature. On the other hand, nothing angers me more than clumsy, clueless, ignorant handling of a culture. Orson Scott Card's complete butchery of the Portuguese language and culture in the otherwise excellent Speaker for the Dead is an example that hits close to home. Though doing that with a European culture obviously doesn't have the same repercussions than doing it with the cultures Europeans and their descendants spent so many centuries trying to erase - not trying to imply it's the same! Great blog post on a sensitive subject. Thanks Kath! I was just wondering about this myself. It is certain that when writing about other cultures one must do the research and present people's history and culture accurately. I had an Italian female character (based on my own grandmother) in my first book. She worked as a cook primarily in the family and I named her Rosa. I was asked to change her name to Rose but was not asked to change her physical description or her personality, in case readers assumed I was stereo-typing a housekeeper of Hispanic descent. I thought it odd but acquiesced. It was my first book. On a side note, I am even more excited to read the Troll books now that I know you have included the Mi’kmaq. I am shortly moving to Nova Scotia and so excited to learn more about the indigenous people and their mythology. @Nymeth - You've reminded me of the appalling film Vicky Cristina Barcelona, in which Woody Allen reduced Catalan culture to a bit of guitar music...and pretended the Catalan language did not exist. To add insult to injury he had a character supposedly studying Catalan culture. I checked this post very late at night expecting to scan and come back to it in the morning. But it's simply too powerful, so, here I am, addle brained, but deeply moved. I am currently working on my first children's book with a Canadian publisher (I am Canadian) and my protagonist is an Aboriginal boy. I happen to be grappling with almost every issue raised in your post. I didn't know about the Australian protocol and I plan to check it out after a good night's sleep. The situation here is a very difficult one because we are dealing with the painful aftermath of years of Residential Schools whereby Aboriginal children were taken from their parents and forced to live in boarding schools where they were prohibited from speaking their native language or from seeing their families. Many children perished. The Aboriginal people in my community are still reeling from the aftershocks. There are many years of healing ahead of them. Many of the non-native people around me do not want to talk about these issues at all. I believe that I am approaching my story with humility and I am educated about my subject. However, I am by no means finished working through the matter and it is taxing me in a way I had not expected (and I had expected a bit of an ordeal). Sorry to go on and on. This is a very important post and I plan to share it with as many of my friends and colleagues as I can. Catrin, and Jo, thanks for commenting. Catrin, if you click on the Australia Council link, then enter 'protocols' in the search box, and scroll down, you'll come to the writing protocols. They are free to download. I found them illuminating, but (of course!) came across them too late to be of use to me in writing Troll Blood, which was published in 2007. I've gone on thinking about this issue, though. I am sure I did not get everything right: I might do things slightly differently today, but I did try. Jo, you are so lucky to be going to Nova Scotia! It sounds beautiful. Though I have several files full of information about the geography, flora, fauna, and history, I have never yet been. One day! 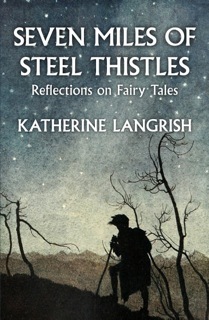 Great blog, Kath, and thanks for the mention of my books, and your generous commendation. Mind, I do think I see German kids as victims of Nazism, but I think your comments about the Aryan kid sharing the Jewish kid's fate are just and apposite. It was what I thought about Bruno, that he'd have a different death. Not the gas chambers. Nazism was a cult of death, and for its own it reserved death in battle. But of course you went much further, and thoughtfully dealt with all these issues, going beyond polemic and approaching the dilemmas that face us, in fact, as writers today. I did feel nervous about writing from the point of view of a Jewish boy, I felt it wasn't for me to do, especially with my 'Aryan' German background on my mother's side, and got over it by writing from Jenny's point of view. But of course I had still to think about Rafael and what was going on for him. I think the best approach is to do what you did in 'Troll Blood', take the jump, do the research, cross-check with people from the community, and above all, be humble about our imaginative limitations!! I'm happy to offer you a place to stay, Kath, if you ever do make the trip to Nova Scotia. PS I am re-reading The Book Thief at the moment;a powerful, moving book about Nazi Germany. That would be great! And I have another friend to visit there, so now two reasons to come! Will work on it. First of all I would like to introduce myself as a Wabanakian of the Mi'kmaq Tribe. And I am looking forward to reading your book sometime in the near future. Personally I don't mind sharing stories during the summer time nor would I have minded the word "spirit" being used in the story. Since our belief is that every animal , rock, tree, bird, insect, food all has a spirit and often times refer to these spirits by name. So many people within our own tribe has their own point of views but for many reason we have been soooo diverse and consists of many nations and over converted by over 15 different missionaries. So much has been taking from our culture and heritage that we are all left so confused about our identity and culture. Our land has been taken and all the natural resources are being depleted, all of our original forests is extinct and our land now looks much like Europe now. We have seen tribes go extinct and now we are struggling to hold on to what we can, starting with our Spirits, our language, our treaties, our lands , our waters, and all of creation in its natural form as its been for time immemorial. Our patience has been worn and we are tired of all the darkness and lies. I am hoping to write/right my own version of events according to our oral teachings and history. I also find reading the legends are very useful since I see codes and hidden teaching within them. Our generation knows enough about the english language and way of thought now that we can filter through the ignorance's often used and seen in the translation process of the writer. Through that we can an understanding and sense of the real mindset of the writer. For example, Silas T. Rand was a missionary who wrote the first English/micmac dictionary, he describes a giant serpent as beautiful and magnificent creature where in our culture it really is a "Symbol" of genocide towards our people. The giant snake is a enemy of trueman and has been known to cause great devastation to our tribes all throughout turtle island. Its not just in the legends but also in many hieroglyphics through out the Americas. Anyways I can write and write for hours but for now I will leave you with a piece of historic insight from todays events of truth and reconciliation of the Residential School Inter generational atrocities upon the indigenous people of turtle island. Dear Eva, thank you for your comments, and for the links. It's truly terrible what happened to all those generations of children. And good luck with your own writings. I think, symbols such as the snake/horned serpent, have maybe meant different things at different times. Do you know 'Stories from the Six Worlds'? It's a wonderful collection of Mi'kmaq tales edited by Ruth Holmes Whitehead. But it was really these comments that caught my attention. "I remember trying to make lists of gods and goddesses and line them up. Mars = Ares = Tyr, for example, and Venus = Aphrodite = Freya – but there were always the odd men out, like Loki in the Norse canon, whose role might be compared with Mercury/Hermes, but whose character seems quite different. I even wrote about them." For just a few nights before I was stuck on the trying to tie together our creation stories, our legends, oral history and all these characters and tried relating them in the same Manner. For example, Loki = Lox= Wolverine , Summer is Fairy and she becomes Venus so in comparison to norse legends she would be Aphrodite = Freya. This are the connections I was seeking the nights before but I know too little about norse legends to be able to properly identify with your legends and its symbolic meanings. I have have Ngumi= Naguset= Sungoddess, now I wonder what character in Norse legends might she be? These are the questions that I am trying to relate too. Thor sounds a lot of Glooscap but Glooscap has much more powers and abilities I think that Thor would, perhaps he is a younger version of Glooscap. Glooscap also had a twin brother, his name was Malsum. Glooscap was born natural and he was the good twin and hero to the lnu (trueman or true spirit) and Malsum created the darkness and was born unnatural and always made life difficult for us. I believe he created Lox. Anyways I don't think I can stay away from your blog now that I have discovered other legend and mystical writers that can hopefully clarify the bigger picture and dispel some misconceptions. Thanks for writing your opinion and insight and judging from the way you write, I am sure you portrayed our part in a fair and thoughtful manner. This is my real interests with you. Our tribe does celebrate the diversities of culture, we are the united nations. We have adapted to over 190 different nations, through breeding, religion, language, heritage and culture and every form whatsoever, in addition to over 500 indigenous distinct nations within the nations of turtle island. We can respect and appreciate that very much but the world truly doesn't have the same mutual respect or it simply lacks of care. In order to live in harmony and peace with all nations, our law and way of life is natural law and its teachings have remained strong for time immemorial. We have always tried to teach this and yet it has not been honored and now our Mother Earth is Sick. So there is a bigger picture that needs clarity and come to a deeper understanding with one another, despite our common ways we are all very different, unique and distinct. We believe we can all work together and adapt to new ways, its just going to take some hearts and ingenuity. And Maybe some Fairytales and Magic must be included! 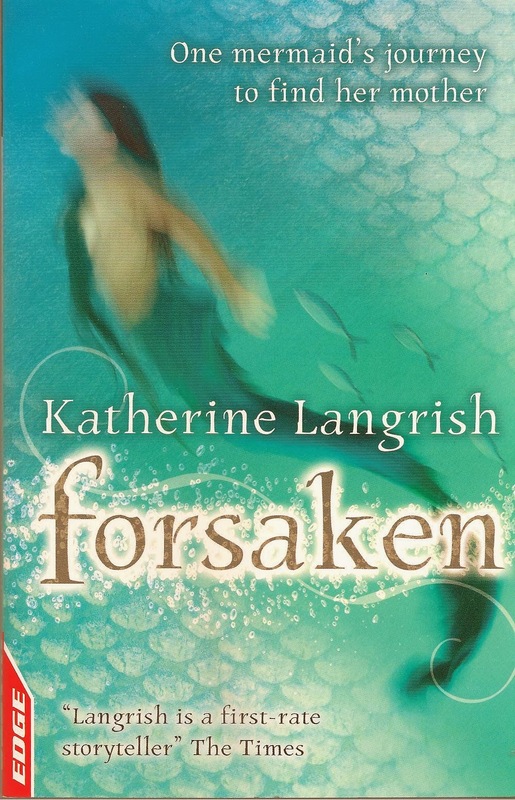 How Ironic, I didn't realize that your book has a Water Snake Character. Just looked for a review, read some excellent reviews by the way, being compared to Harry Potter Books, Wow, sounds like a pretty excellent adventure and epic trilogy. Guess I spoke out too soon regarding the Serpent, kinda feels like I put my foot in my mouth. All the more reason to read your books now, not just the Troll Blood. Kinda works out better this way. Dear Eva, you didn't in the least put your foot in your mouth! the books have to stand up to readers' opinions, and like I say, there are probably going to be various interpretations anyway. Thanks for all your comments, and I hope you'll have fun if you do get to reading the books. I do not have much time for posting today, for its a very holy day for us at Wabanaki and celebrations are happening all over the universe today. Our Matriarch Grandmothers and Clan Mothers are meeting with your Queen today in preperation to kick off the the Summer Celebrations and Day of Wabanaki Love and Magic. I pray for Peace and Friendship and truth and reconcilation. There is alot going on here in Wabanaki, and later this week your Queen will see a "replica" of the old old ways set up for her visit. The celebration will be marking 400 years since the first Wabanakian Baptism. You may of heard of the Membertou 400 Celebration. Today I look forward to gardening with my family and tonight our family will be gathering with our community at a Sacred Healing Fire in Honor of our Elders. We will be sharing stories, oral legends and teachings and even the recorded myths and folklore. I wish to celebrate and share the magics of gardening and the real fairy tales of Wabanaki. And soon we will celebrate the winter solstice. I made some mistakes here myself, still trying to piece the mysteries and puzzles together. But the teachings are becoming much clearer and natural as we go along.